To day was Conrad Doves had his funeral he past away on July 27th, 2010 he owned Striper Excitement guide service and he battled Cancer almost to the last day of fishing. I Don Andreasen will truly miss fishing with him as a guide, a friend and he had a happy way about him that will always be in my mind. 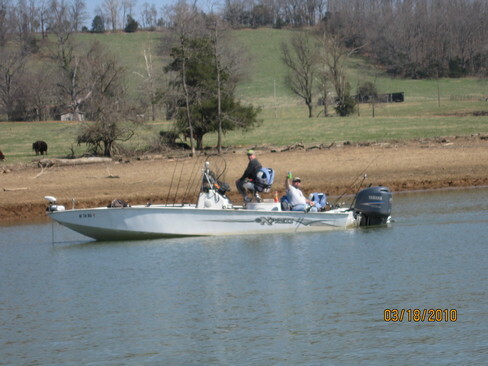 It will feel strange not seeing him fishing out on Beaver Lake any longer. The photo of Conrad Dove fishing was next to me in the White river last spring with his friend Brad. 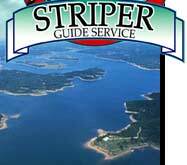 His wife Janine Dove will keep Striper Excitement Guide Service going along with their motel Posey Mountian Inn and Conrad's Guide buddies will keep running their trips. God Bless Conrad he was a great friend and a great person!